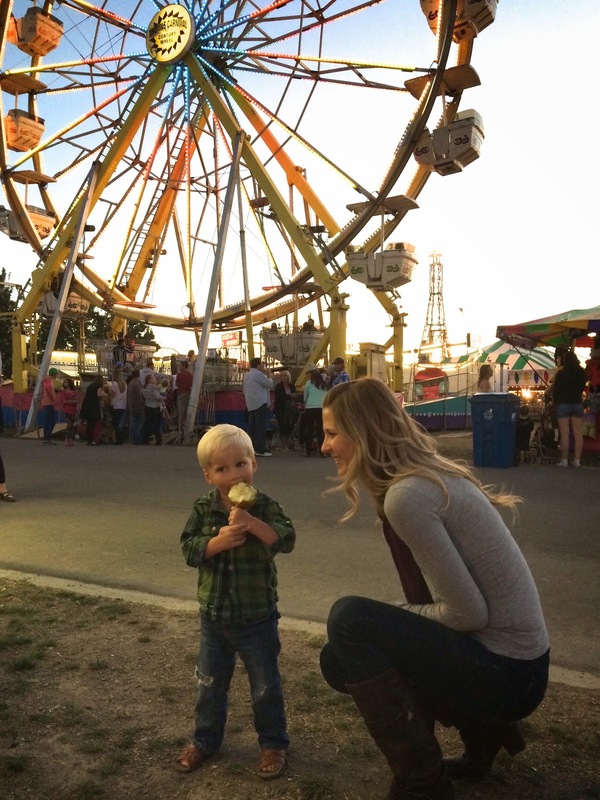 My boy loves the fair! L.O.V.E.S. He's all about the animals; we spent hours looking over every chicken, turkey, bunny (floppy ears are the best), cow (even pet a baby), pig, sheep, and all other farm animals that you can find at the fair. He has a tender heart and a soft spot for anything that he can possibly pet. And he wants to pet everything! He also pretty fond of the rides! He is our official ticket holder and takes that job very seriously. He has a fearless side and is willing to try anything. He flew a helicopter, drove a monster truck, & even snuck onto the roller coaster that he was a couple inches short for! His crazy scream & wild smile were so contagious! My Liam is definitely a thrill seeker. And when things just couldn't get any better, we told him we were going to ride the "big one"! The big wheel that goes around & around! He took in the sunset and tried to lean as far over the edge as his mama would let him. 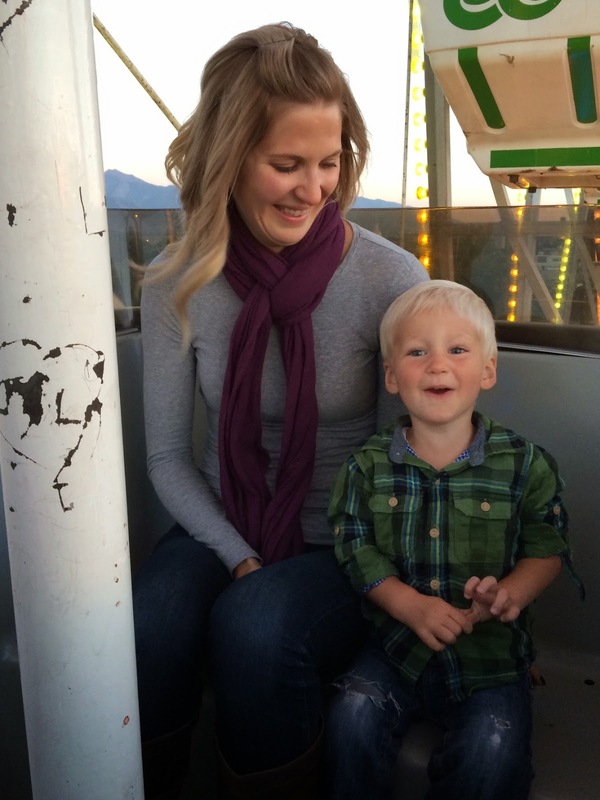 The ferris wheel has always been one of my favorites, and those few minutes spent going around with my little family were the best! It was a simple moment, but one that made my heart happy! Oh so happy! We ended our night with a treat! Caramel apples are my favorite fair food and seemed like a slightly healthy option to share with Liam; however, L just ate all that caramel right off and left me with the apple. That sweet tooth comes straight from me! We then danced to some live music and stayed as long as Liam's little legs would hold up. As we were walking out through the gates, Liam gave us a huge smile and said "the fair is fun!" Yes little boy, the fair is fun. Just a few brief words that made the whole night that much more incredible! I already can't wait 'til next year! Oh my gosh, his face!! Pure joy! What a perfect evening! 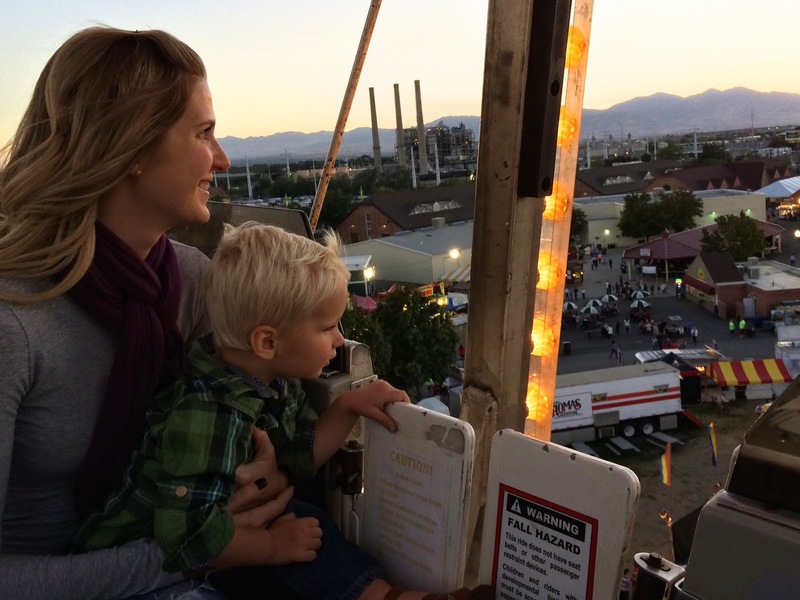 We took Mia to the fair a couple weeks ago. She begged to go on every ride! I was hoping they would have a petting zoo, or something, they usually do, but this year we couldn't find it :( I bet she would have loved the animals! The fair is fun! 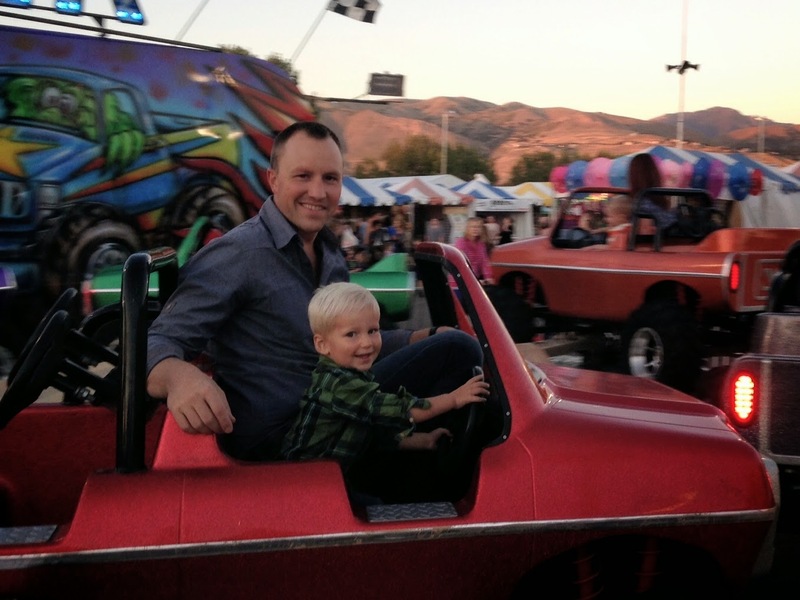 I love the mix of his tender side with the animals and his fearless side on the rides! I would have been all over the funnel cake (my fave). I'll have to add this to our bucket list for next summer! aww! Looks like so much fun! We missed the local fair this year, maybe next! Caramel apples are my favorite too! Yum, now I really want one!! You will have to take Scarlett next year! I'm sure she will go crazy for it! Pure happiness!!!! So much fun! He is such a cutie! His happiness shows through your pics. What a fun time!! Liam looks so happy. This looks like so much fun!! 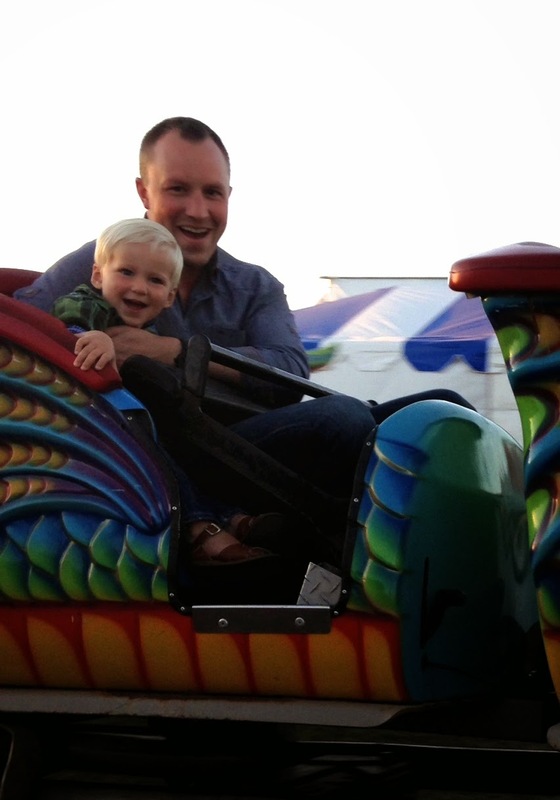 Can't wait until next year when Wyatt can really enjoy the fair! He definitely enjoyed seeing the animals, though! That. is. adorable. The whole thing! Esp the end! The ferris wheel is however the most terrifying ride ever. The rocking and the no strapped in bit and the up high-ness. Nono. Y'all are so brave! The rest though, total on board. Esp the animals. I've never been to a fair here so I am not even sure when or if they come. We do have a big petting zoo type thing near Orlando that I can't wait to take Aria to for Halloween, because they have hay rides and a pumpkin patch too. I'm pretty sure she will be just as happy as Liam with those animals =) p.s. my husband's friend's wife just had her baby boy - named him Liam. Good name! Too much fun! Looks like you guys had a blast! Love that he ate the caramel right off the apple and left it for you. Kids. So thoughtful :) LOVE the pictures of your husband and Liam! They are like two peas in a pod!